Suitable for gravity systems (0.5bar min) , high pressure systems and combi boilers. Kit includes, 1.5m hose, rail, brackets, slider and single mode handset. Pipe centres 150mm +/- 5mm. Valve 280mm long. 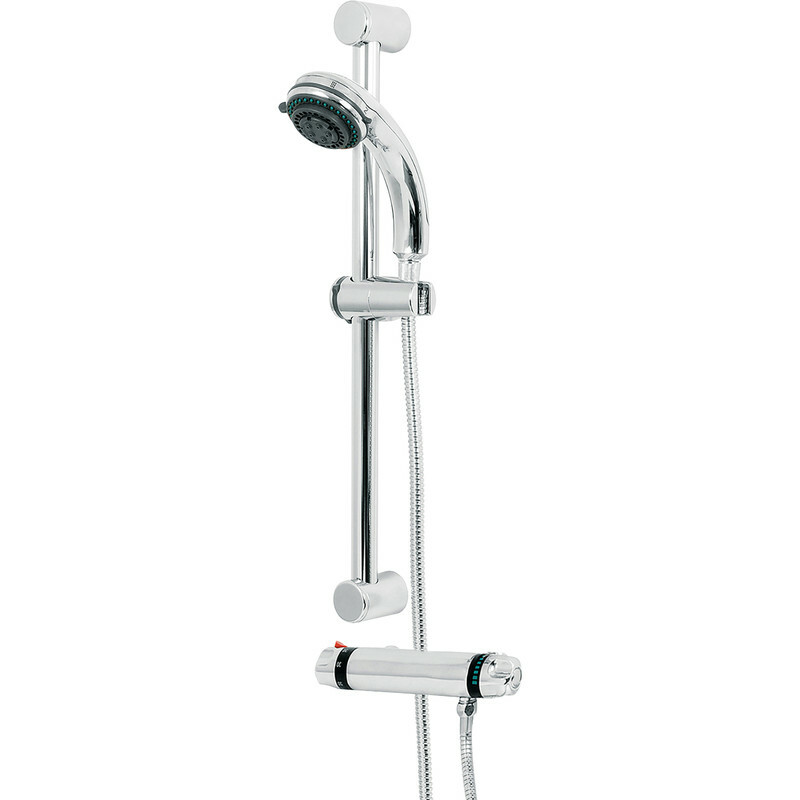 Thermostatic Bar Mixer Shower Valve & Kit Chrome is rated 4.5 out of 5 by 2.